Description: FUNimation is spreading some Hetalia fan love by having a lounge at their booth, and we need some Hetalia cosplayers to help! 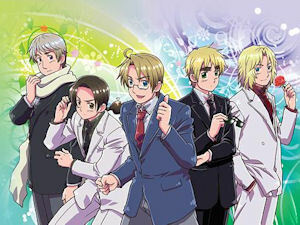 There will be a large TV marathoning all the Hetalia episodes. Location: This will take place at the FUNimation booth during the hours that dealer's hall is open. A Japan and France may also be needed to assist with voice actor autograph sessions.